"I'm a Link to the Past guy. It's maybe my favorite game." If you only began telling Warren Spector's history by the time he joined the game company Origin in 1989, you will have glossed over a career that already included professional film critiques, his time producing tabletop games for the ubiquitous Steve Jackson Games, and a thesis about Warner Bros. cartoons. On the other end of the spectrum, for those who know Warren Spector predominately for his recent Epic Mickey titles, your backlog would include such touchstones as Wing Commander, the Ultima series, the Thief series and - of course - the original Deus Ex. Even if one was not familiar with any of those games, the shadow of influence his work has cast in the world of game development can be felt not just with the recent, current-gen reboots of both Thief and Deus Ex, but in the tradition of virtually any choice-driven narrative structure that you've played today. We sat down with Warren Spector at E3 in this two-part interview to talk about his love of Nintendo, his ideas for how to make a video game worthwhile, and what to expect if he becomes your professor. First let me ask you about Deus Ex: Mankind Divided. I know you have no involvement, but I'm curious what you feel having seen the sequel. I feel like my babies grown up. It's really funny…I think people expect me to be upset about it, or annoyed that I'm not involved, but that's actually not true. It's rare that you get the chance to work on something that has a life beyond you, and that's kind of the way I feel about it. I've talked to the guys on that team many times, and gotten my hands on and played some stuff…and they're really respectful of the property. When I played Human Revolution, I got to the end, and I sort of thought to myself 'you know, they made three or four design decisions I would have made differently', but at the end of the day, it felt like Deus Ex, and it sounded like Deus Ex, and it had an interesting and relevant story like Deus Ex, so I think they're doing fine. Alright, so…let's say that I'm a student enrolled in your class at University of Texas in Austin. What's the first day like? Okay, (laughter), what's my first major lesson? Well, there are a lot of them actually, but the first thing I always tell people is: 'Welcome to beta 1.0 of the Denius-Sams Gaming Academy', because we've never done this before, and the program has a unique focus on leadership and management. Not on how you make a game. It's how you build a great team, how you create and communicate and safeguard a creative vision, and how you lead a team to greatness. So just setting that up is a lot of the first day. The first lessons we teach are probably: How do you begin to think about a game that's worth making? It's easy to rip somebody else off; I mean, look around E3 you can see plenty of that. But how do you conceptualize a game. What are the starting points for game concepting? Then how do you flesh it out? How do you present it to different audiences: your team, potential funding partners, publishers? How do you actually present that to get people behind it? How do you build what I call "The creative box"? There are constraints on designs. You can't do everything. So someone, usually the creative director, has to come up with those constraints. And then communicate what those constraints are, and make sure the team is operating within them. I'm a big believer in letting the team do whatever they want, as long as they're in the creative box, because your team is going to be smarter than you and come up with cooler stuff than you ever could. So a lot of creative leadership is about keeping people in that creative box. We talk a lot about what a leader is, how leadership is distinct from management because they're not the same thing, though they're often confused. That's kind of the starting point: How do you conceptualize a game and get it going and create that vision, and then how do you lead a team to create the final product? How often do you make parallels to specific games and specific events in your experience as a director to your students? All the time. It's interesting because there's a maximum of 20 students in the class, and we have three faculty members. So it's a pretty good ratio. You get a lot of one on one coaching and mentoring. But I specifically hired the people I did with two ideas in mind: Recent real world experience. The game industry is changing way too fast to have people whose last experience of development was ten years ago. I mean that's irrelevant. I think you've got about three years of relevance before anything you know is history. The other criterion was: you must disagree with me. You can't just do things the way I do. So the three of us are in the classroom during our lecture periods and even in our lab. We're all in the room together, and I'll say something about how I worked on Ultima VII Part Two: Serpent Isle, or Disney Epic Mickey 2, and one of the other guys will say, "I would never do that! Here's how I would do that!" And I love that. Because one of the big parts of the program is showing people that there is always more than one way to solve a problem. It's just like the games I make. And when you go out into the real world, no two studios or publishers do things the same way. They often use different words to describe the same thing. And so you have to go out into the workplace being adaptable enough to work with the methods and approaches and ideas of the place you're working. Far too often – I've hired a lot of students – a student will come to me and say, "I know the right way to do this because my teacher told me!" No. Sorry. Get over that. So we use a lot of anecdotes. We're trying to expose people to lots of different perspectives, which I think will prepare them better for life in the real world. Last year we brought in 33 guest lecturers all from the game business who do things even differently from what we do. We're trying to expose people to lots of different perspectives, which I think will prepare them better for life in the real world. Do you ever really get students come to you and explicitly say "I have an exact idea about what you exactly did and this is exactly how you should have done it?" I'm wondering how much fandom comes into the teacher-student relationship? Um…I've had that a lot of the studios I've worked at. I've had plenty of students come to me, it's their first project, I've just hired them right out of school, and they come to me and say, "I should be the lead designer on this project! I can do a way better job! I know how to do this!" And it's like, "Dude, finish your first game first." In the classroom? Not so much. The interesting thing about the students is that a lot of them - not all of them - but a lot of them come in expecting us to tell them "the truth". Tell them "the way". Teach them "the right thing". And we won't do it. We give them conceptual tools, and help them with some practical applications, but we're expecting them to figure out. These are people who aspire to leadership, want to be leaders, discipline leads, game directors, or producers. So they have to figure out how to apply the concepts in the real world. So I don't see a lot of "here's the right way to do it", and when I do hear that, what the staff and I do is push them really hard. Justify why you think that. And when they make the case, okay, try it and see what the ramifications of that are. Sometimes even when they're wrong we'll let them do it, and say, "Come back to us when you see the outcome and let's talk about what happened when you did it." Specifics: Focusing on Nintendo, have you ever used any Nintendo legacy games, let's say "Link to the Past", "Super Mario 64", and used them as an example for design to your students today? Well remember, it's not really a design program, I think a lot of the students were really kind of disappointed about that. It's explicitly leadership and management. Well, there are a couple of answers to that. We certainly talk about Mr. Miyamoto, and how even when he is not the director of a game, he still exerts his influence. And we talk about how you can do that, when you're not the person in the trenches, with the team, guiding the creative vision on a single game, how do you still exert your influence? So we talk about that. We certainly talk about…I'm a Link to the Past guy. It's maybe my favorite game. 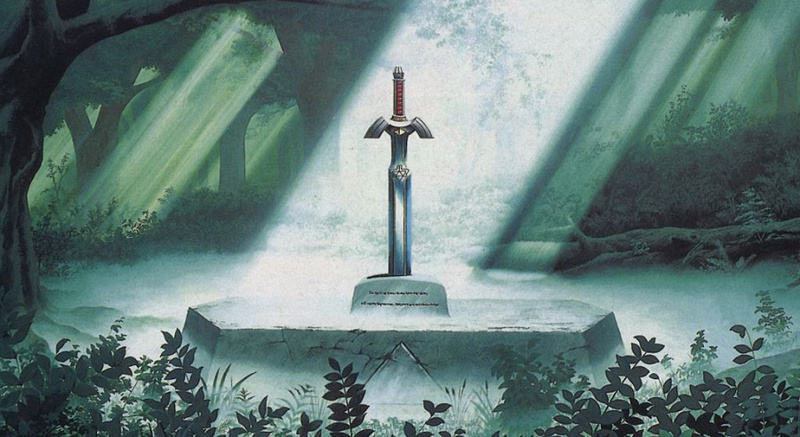 And so we talk about, in the Zelda games, how do you get that feeling of exploration in the context of a game that's really about solving puzzles. Everything is kind of pre-planned. So how do you actually get that feeling of exploration and the magic of feeling like you're exploring the real world? So you pioneered the idea of choice matters in games. The idea that players are a living agent in a world that not only has the agency to make decisions but also has to take responsibility for those decisions. Today we see games that are more and more present with these choices: big choices, little choices, romantic choices, etc. What is your perspective on choices as almost a trend in games? Well, first of all, let me correct one thing. I hear this a lot. My games are not about choices. We certainly talk about Mr. Miyamoto, and how even when he is not the director of a game, he still exerts his influence. That's a big pull-quote right there. They are about choices, and the consequences of those choices. Choice without consequence is a waste of time, effort, and money. That's a critical distinction. And I think a lot of people out in the development world don't quite get that either. Choice and consequence for me are about differentiating player experience. My ultimate goal is when two people talk about their experience playing Disney Epic Mickey, or Deus Ex, or one of the Ultima games I worked on, they describe different experiences. That's the magic of games. That's what we can do that no other medium can do. And I'm just gratified that people are doing it more. I mean, if it's a trend or it's a fad, I don't care! Back in the day when we were starting to think about this at Origin or Looking Glass, we sit around and look at each other and go, "Why isn't everybody making games like this? Why are we the only ones?" And after Deus Ex, without naming names, I had lots of developers come to me and say, "We completely rethought the design of Game X after playing Deus Ex." Or, "We just changed direction. We now want to make games like that." And…that's just hugely gratifying. It's about time, because that's what games should be about. In fact, I was just talking to some students at USC this morning, and I was telling them that if your game is about puzzles, and kill-everything-that moves…if your game is designed to show off how clever and creative you are as a designer, you have failed. I have no interest in you. Games are about how clever and creative players are. There's some joy in solving a hard puzzle and getting past a tough problem by reading the mind of the designer. But I really don't think that advances the state of the art much. Games are about choices and consequence, players solving problems the way they want to, and then seeing the ramifications about that. And that operates not just at the level of minute-to-minute gameplay, where it's a very powerful thing, but it forces you as a player to think about how you feel, and what you believe is right, and not just what your little avatar puppet should do. It's like, what do I think is the right way to solve this problem? Should I kill everything that moves? Should I kill nothing? What's right? At the end of Deus Ex, it's not about defeating a boss, it's about, how should the world be? And that philosophy…are you speaking directly towards a narrative structure as opposed to say, like, Tetris, where that wouldn't necessarily apply? "Man, I was in a real jam. Things were piling up. And I was just waiting for that damn, long straight piece to show up because I really needed it!" That's a great story! (Laughter) Well, it is to some extent, yes. Nicely put. But that is a story, right? And there's the player constructed story…Will Wright makes total sandbox games where the story is just what you do and how you describe it to other people. Which is not a deus ex machina situation, it really is the player in control. Then there's the stuff that I like to do, I call it shared authorship. What I want to own is the narrative art: why are you doing this? Why is it important that you do this? Why is it important to get through that door? That. You. Get. Through. The. Door. Do you have a favorite decision in a game? That's an interesting question…no one's ever asked me that before. Can we get back to that? I want to think about that. We'd like the thanks Warren Spector for his time. 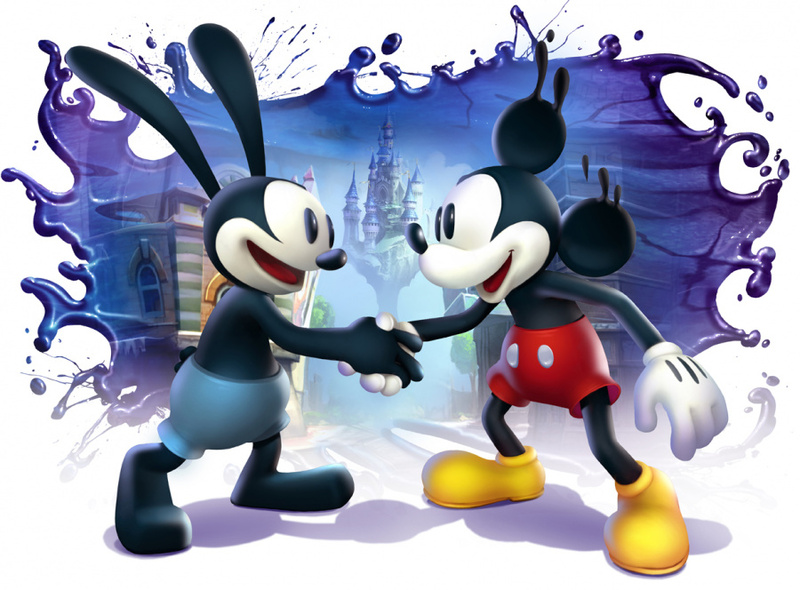 Be sure to check back soon for part 2, in which we talk more about Epic Mickey, learn about Spector's views on Nintendo and discuss some of the game designer's aims for the future. Some really interesting stuff here. Great interview, looking forward to part 2! Warren Spector has worked on and led some of my favourite games of all time, but some of the comments he's made in the last couple of years have really made me doubt he'll come up with anything I enjoy quite so much again. Don't get me wrong, I LOVE story in a video game, but you need to make it a story that plays to the strengths of the medium of games. He wants to just take a story that could have been written for a movie and force it into a game. Why would you guys interview this washed up old has been? He doesn't have anything to say worth listening to anymore and he can't make a good game anymore. Interview somebody who actually matters next time, please. Haven't read it yet, but when I read his pieces I think most of the time: He is better with his mouth then with game-development. As far as I know its years ago that he for the last time released something substantial! I don't diss his personality though. He seems a pretty nice guy. Its just that he doesn't make good games anymore. Very interesting piece. I like that it has more substance than the usual interviews given to just promote an upcoming game (even though those are good too, and have their place). It's great to just hear him speak candidly about his past work and philosophies toward making games. The guy is a legend in the industry and his insight was good. Hearing the titles "Duex Ex" and more importantly "Thief" does keep me reading this. But otherwise I barely got anything from the article asides for him being an " retired professor" who mentions little tid-bits that pops up in his class. Again very hard to follow. That being said Mr. Warren sounds like an college professor "Very hard to follow". College......just basically qualification and people who are learning everything with an gun to there head called tuition. Okay I tried to read this again? So he was the director of these previous games? Was it concept? ideas? etc? writing? I could only assume he teaches in an "Game Design" related course. Otherwise I would rather read up on the miracle of "Dragon Ball" if you catch my drift. At this point I understand planning and all, but I am focusing on art and programming needs???? Oh yeah epic Disney. Lets be fair. Disney is evil and everything that touches them turns sour. I do not like the name of the title, ( especially the abuse of the word "epic". ) I will admit an videogame where you play as the character attempting to restore the land while the entire world of Disney is over-runned with all kinds of abominations. Something out of an "Tim Burton" movie/artbook. So this game is going to be like "System Shock" + "Resident Evil" dressed up to be an ultimate version of "Kingdom Hearts"???? That is what I got from Epic_Disney. That they ( Disney ) is attempting to continue to ride the "Kingdom Hearts" Gravy Train. So he actually teaches his students to think instead of teaching them what to think or to think like him. Havn't played many Warren Spector games. Epic Mickey 1 and 2 I think is all. I have played Bioshock, which I've heard is the spiritual successor to the System Shock games. But no Thief or Deus Ex. This interview seemed a little hard to follow. Although I did get a few of his points. The concepts he covered in this article could inspire people in many lines of work. Instead of trying to force originality artificially, he lets them be themselves, which allows creativity to flow without the limitation of a linear thought-processes that are more likely to end up shallow or contrite. I would love to chat with such an iconoclast. Great read so far Alan! "the shadow of influence his work has casted in the world of game development"
Only need to use cast. Great interview. Interesting perspective on game development. I'm not sure I agree that choice matters as much as he thinks, it certainly adds a lot to a game but I wouldn't say it advances the industry though. Well, I'm playing the original Thief right now (and will be following it up with the rest of the original trilogy) and bought System Shock 2 and Deus Ex along with them this Steam Summer Sale (without realizing that they all basically came from the same group of people). It's nice to hear from one of the influences behind the games I am and will be playing. The insight from Specter was very interesting and meaty. I'd be happy to see another interview of him. He has certainly earned some of my respect. I talked to the Deus Ex team about Human Revolution on the Wii U. No official comments, but they did tell me they were still very, very proud of the Director's Cut released on the Wii U. I've played the game originally on the PC, and then a 2nd time on the Wii U, and I was surprised how much the gamepad genuinely added to the experience. It's seriously the best version of the game - against all expectations! @Pandaman Thanks for reminding me about that. My brother loves Deus Ex and maybe I'll try it out on my Wii U someday. Well I enjoyed that interview. Thanks for that! Sure the only games of his I have played are Epic Mickey 1+2, but I still respect the man. I loved both games despite them not doing too well. Only played the Epic Mickey games, but I should probably fix that at some point. Other than that, great interview, and he seems like a nice guy. @Pandaman I never played any of the Deus Ex series, would I be lost story wise if I jumped in at Human Revolution? @Mr_Zurkon - I actually highly recommend starting with Human Revolution. The original Deus Ex is essential gaming, but it has also aged as you would expect a very old PC game to have aged. Both are usually super cheap on Steam though. @Mr_Zurkon you should play the Wii U version, not steam like suggested above. @mjc0961 Yowch! Maybe you should brush up on your history there. 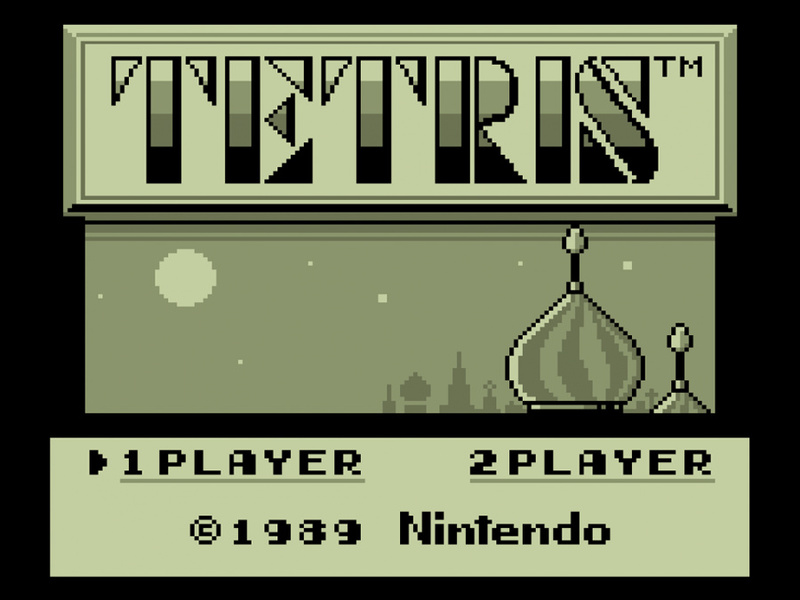 Zelda a Link to the Past is also my most favorite game, by far !!!!!! @Mr_Zurkon Human Revolution is pretty much a prequel, but less story wise and more overarching lore wise. Its the beginning of mainstream augmentations and its getting its own sequel soon. Not to mention that these games are much younger, thus, a fair bit more accessable. I'm a Link to the Past guy too! Great interview. Though I wasn't a huge fan of the Epic Mickey games I'll always be thankful to Warren Spector for the Deus Ex series. The first is fantastic and though he wasn't directly involved with Deus Ex: Human Revolution (my favorite action/RPG of the last gen) his original work is part of why it exists. Can't wait to see how Mankind Divided turns out.